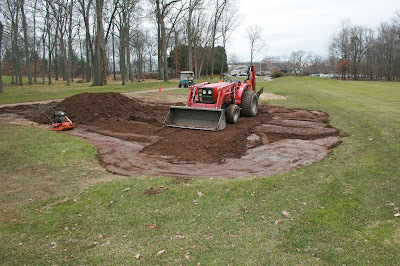 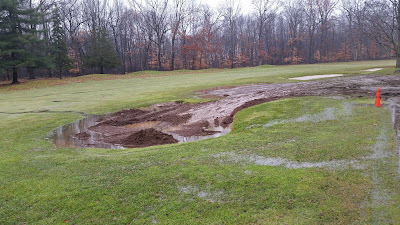 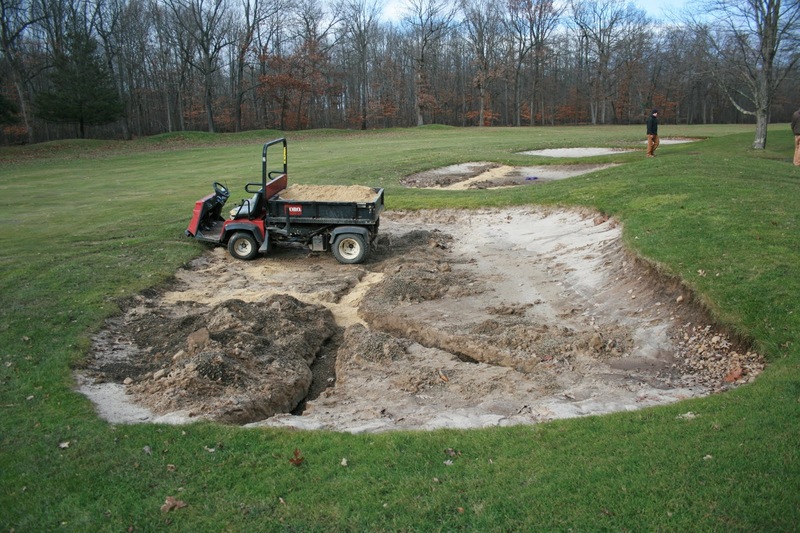 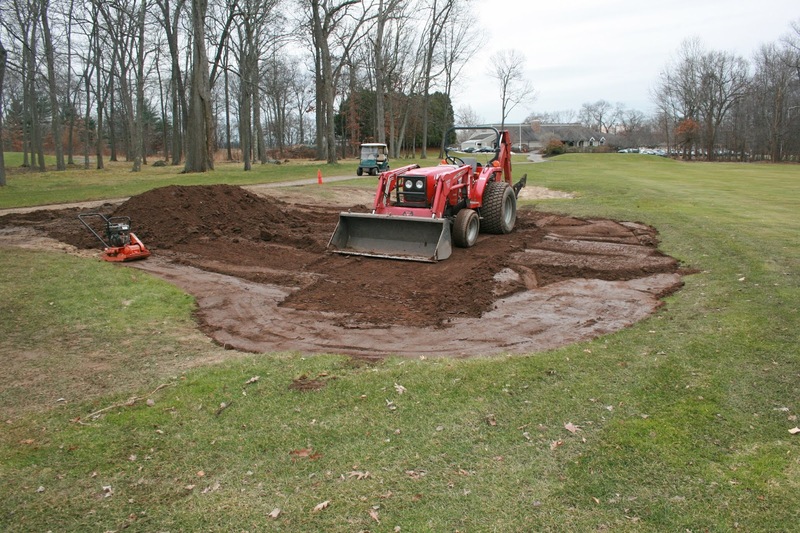 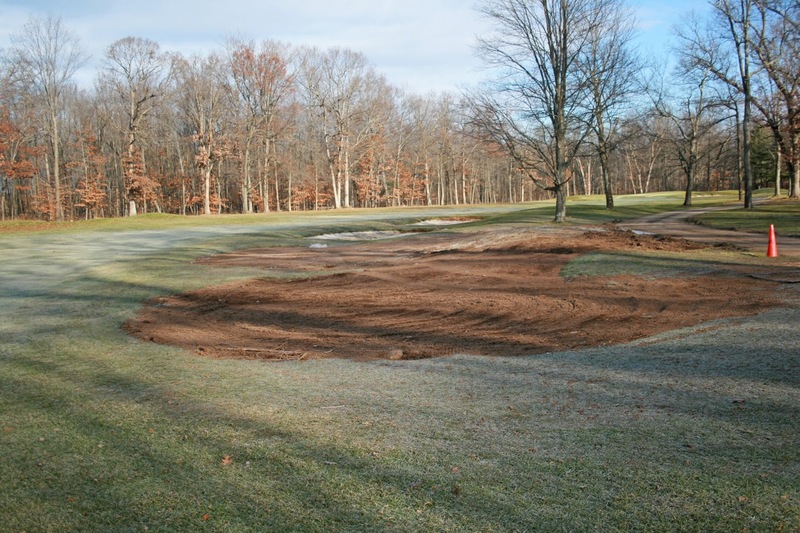 During the 2018 season we received the approval from the Green & Grounds Committee, the Golf Committee and the Board of Governors to eliminate the first two fairway bunkers on hole number ten. They are a constant maintenance problem and require pumping after almost every rain event. 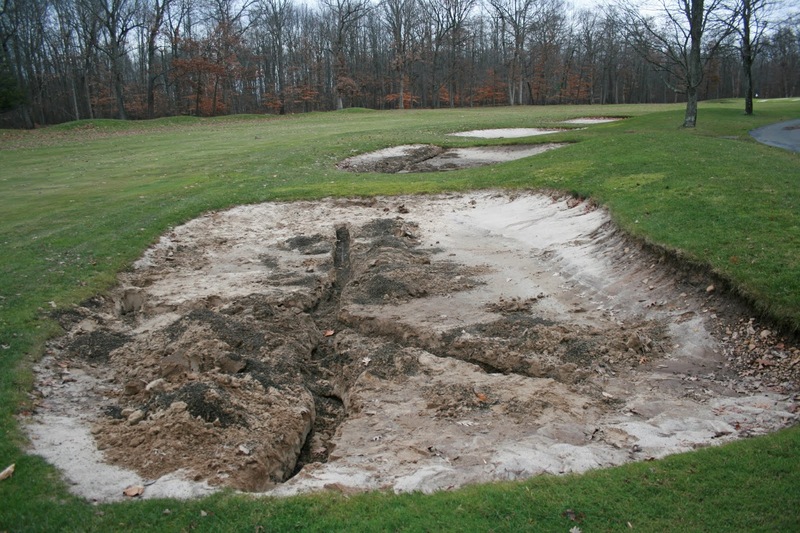 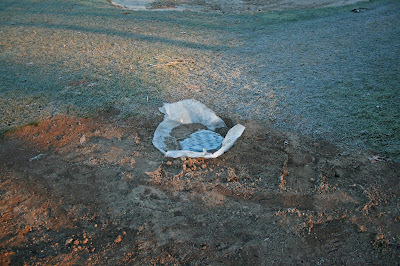 Filling them in will save man hours and improve playability. Rough grade has been completed. 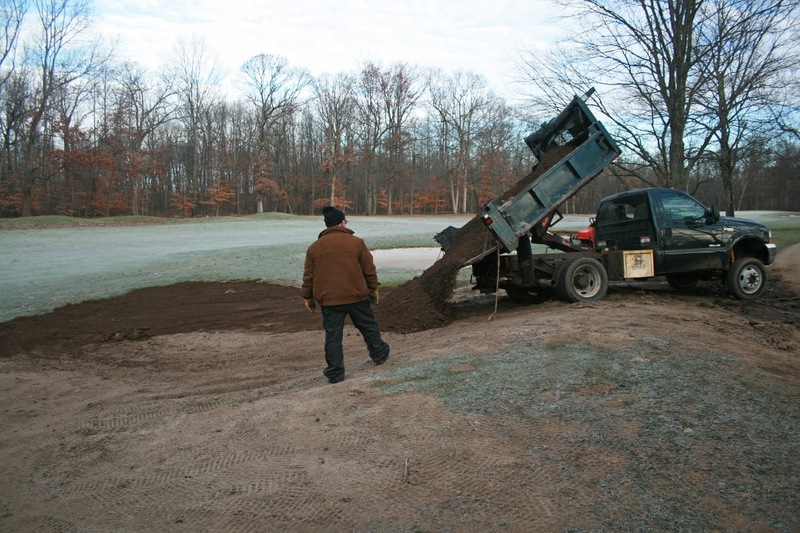 We will add some screened topsoil and seed the area in the Spring. 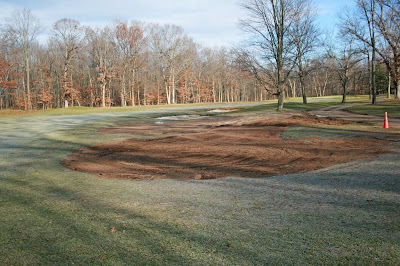 The following pictures show our progress.